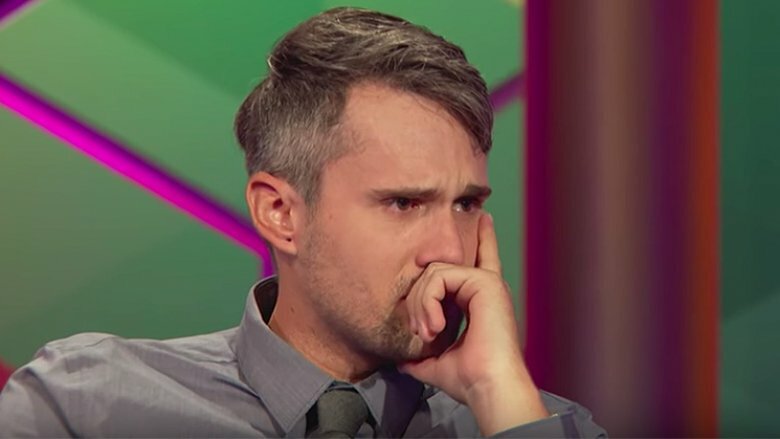 Teen Mom alum Ryan Edwards has a knack for generating headlines, a skill he has maintained on and off camera. Edwards first brought the drama on MTV's 16 & Pregnant when he forced his then pregnant girlfriend, Maci Bookout, to check his truck for a flat tire (charming, right? ), earning him the title of resident jerk. 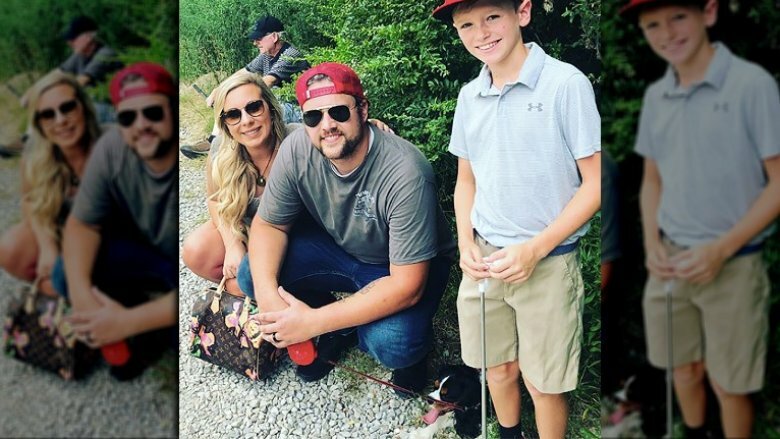 Unfortunately, things didn't change for the better during Edwards' stints on Teen Mom and Teen Mom OG, and many fans have expressed concern about his behavior throughout the years. Arguably the most shocking scandal involving Edwards concerns his drug use — the dad first entered rehab in May 2017, after MTV filmed him driving while allegedly under the influence. Although many viewers hoped for the best following Edwards' stint in rehab, he racked up a few arrests shortly after he got out. Making matters even worse? Edwards allegedly threatened to shoot Bookout's husband, Tyler McKinney, because of a dispute on social media. Of course, it's fair to wonder how all of this drama affects Bentley, the son Edwards shares with Bookout, as well as the child he welcomed with his wife, Mackenzie Edwards, in October 2018. And what about Edwards' shocking exit from Teen Mom OG? 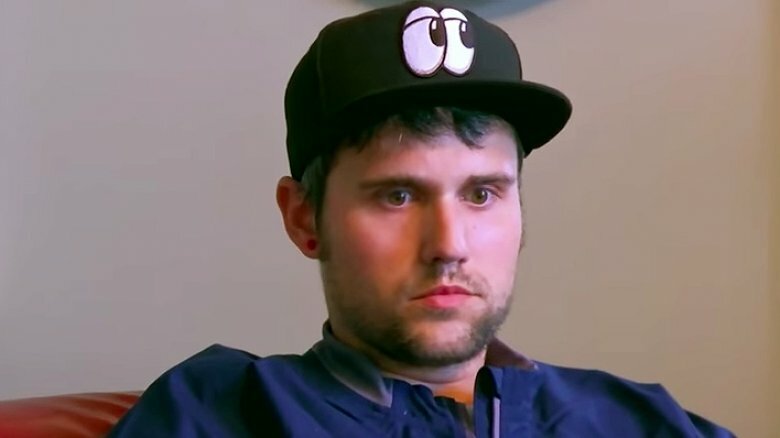 Let's just say there's a lot to cover in the untold truth of Ryan Edwards. Ryan Edwards' rehab stints are a bit confusing, especially where it concerns his first attempt at recovery. What happened is this: after MTV filmed Edwards driving to his wedding while allegedly under the influence (talk about a scary moment), he entered a Texas-based rehab facility in May 2017. But a few weeks into Edwards' 30-day rehab stay, he left nine days early (or "graduated early," depending on who you believe) for home in Tennessee. Although Edwards told Hollywood Life at the time that "life could not be better," Maci Bookout remained skeptical. "My people know people. I mean, he's not clean. He's not," she told her mom during a lunch filmed for Teen Mom OG (via Us Weekly). "That's just it. He's not." Unfortunately for Bookout, her fears about Edwards' sobriety were warranted because he entered rehab again in September 2018 following a string of arrests. A source told Radar Online that Edwards won't be out "until February or March," marking his longest rehab stay ever. But wait — that's not all. Edwards' ex-girlfriend, Dalis Connell, claims the dad secretly entered rehab for a week in December 2012. "He never said he wanted to get better, he just wanted the withdrawals to stop," Connell told Radar Online. Did Edwards miss his son's birth? News of Mackenzie Edwards' pregnancy, broke in March 2018, just months after she tied the knot with Ryan Edwards in November 2017. The timing of the happy news was a tad confusing considering Ryan "graduated early" from rehab in June 2017, and many fans weren't sure if the couple was ready for a baby given their other stresses. Ryan even went as far to hint that he wasn't prepared, complaining to Mackenzie, according to In Touch Weekly: "Crib, stroller, diapers, clothes, baby food, bottles, diapers … yeah, call me when he's about three." Yikes. Despite Ryan's hesitance about the whole thing, Mackenzie tried to project a happy front on Instagram, often sharing bump photos throughout her pregnancy. But some fans couldn't help but notice that Ryan wasn't in any of the pregnancy snaps, a curious detail that seemed to suggest he wasn't as thrilled about the milestone. Things took a particularly dark turn, however, when Ryan reportedly entered an Alabama-based rehab facility in September 2018. Although it's great that Ryan sought help for his issues, the timing could have been better given that Mackenzie reportedly gave birth to their son Jagger on Oct. 9. "Mackenzie's mom Terran and dad Bobby were at the hospital. Ryan's mom Jen and dad Larry were also there," a supposed insider told Radar Online about Ryan supposedly missing the delivery. Although it's sad to think about Ryan missing his son's birth, the dad's health and well-being should come first. TMOG fans might remember Ryan and Mackenzie Edwards' beautiful November 2017 wedding, complete with a fancy venue and long guest list. 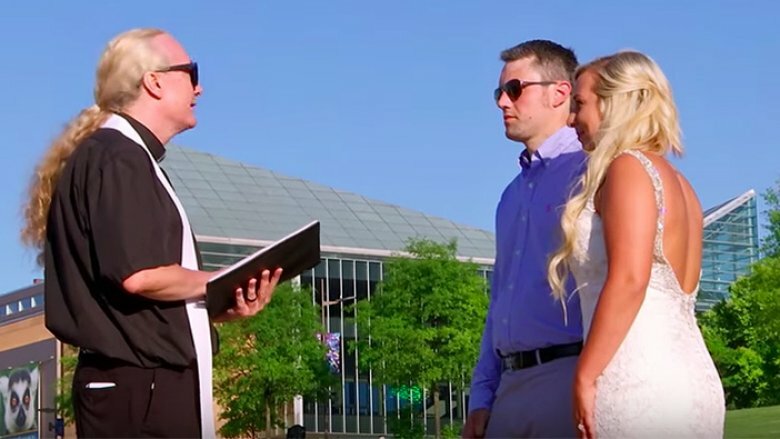 But what viewers probably won't forget anytime soon is the couple's first ceremony in May 2017, a rushed event that took place on a sidewalk outside of their local aquarium. The only guests in attendance were Ryan's parents Jen and Larry Edwards, and Mackenzie picked out her rented dress that same day. To add insult to injury, Ryan drove to the affair while he was allegedly high, and his mom broke down in tears right before the two said "I do." What a mess. If you're wondering why the couple threw together this ragtag wedding last minute, Ryan told his sobbing mother it was for [his son] Bentley's sake. "Just think, it's what's best for Bentley," Ryan tried to assure Jennifer. The confusing part? Bentley wasn't involved in the wedding at all. "I don't think we're [going to tell Bentley]," Ryan said, according to In Touch Weekly: "If he does find out, we're gonna sit him down." A silver lining about this wild wedding, however, is that it led Ryan to seek help for his addiction. One week after Ryan's scary car ride to the nuptials, he entered rehab for treatment. 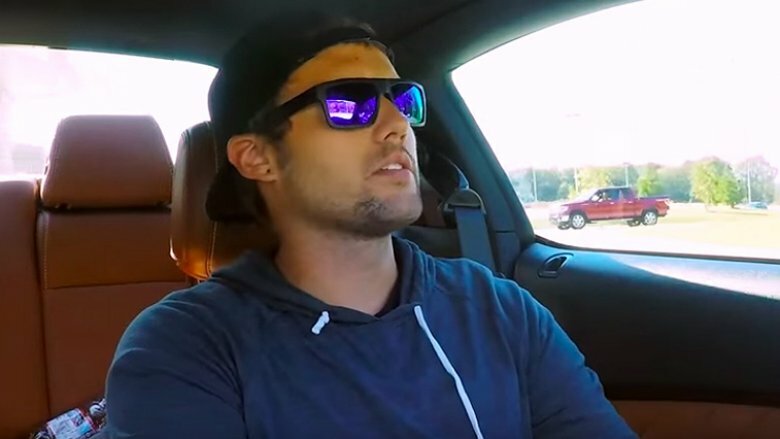 Many viewers expressed concern when MTV aired a clip of Ryan Edwards driving to his wedding while allegedly under the influence. The disturbing footage — which generated a ton of headlines — showed Ryan nodding off and slurring his words as he tried to drive. Mackenzie Edwards — who was with Ryan in the car — asked her then fiancé if he had taken Xanax, an accusation he denied. "I put that on my kid's life," he groggily said. So sad. Following widespread backlash, MTV released a statement condemning Ryan's actions. "MTV does not condone driving under the influence," an MTV spokesperson told People in a statement. "Ryan's erratic behavior was due to actions that he took without anyone's prior knowledge." Ryan also acknowledged the severity of his actions. "A little over 30 days ago, I made the decision to check myself into a rehabilitation facility. I am back home now doing well, and life could not be better," Ryan said in a statement, according to People. "Without the support of my wife and parents I would not have been able to do this. Thank you all for your well wishes." 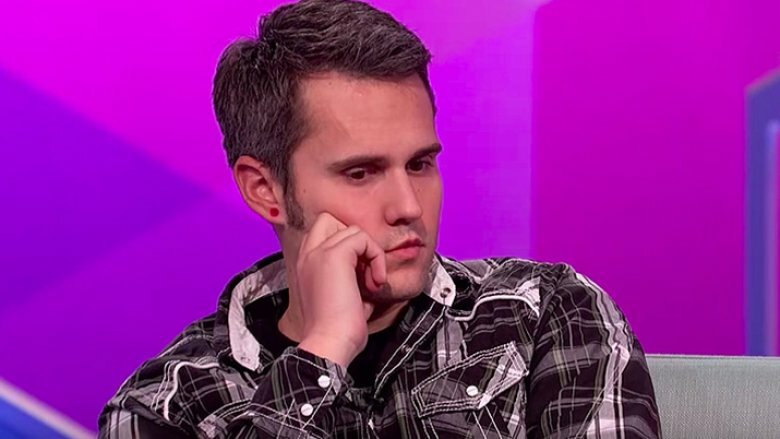 Ryan Edwards can't stay out of trouble, even where it concerns his personal life. Case in point: He allegedly sought out women on Tinder in August 2017, just three months after his infamous sidewalk wedding. When one of the alleged women asked Ryan about his marriage, he replied, according to Radar Online: "I am … I still like to have a little fun." Yuck. As if this story couldn't get any more wild, the dad-of-two reportedly sent photos of the most lurid kind, along with some cringeworthy explicit messages to entice his potential hookup. His wife Mackenzie Edwards, who has always stood by him, supposedly contacted the woman in question via text message after the dirty convo went down. "I want you to stop," Mackenzie reportedly wrote. When the anonymous gal asked for clarification, Mackenzie allegedly said: "Guess we will have to do this the hard way." Oh, Mack. Mackenzie's troubles intensified in March 2018 when Ryan allegedly reached out to additional women on Tinder, and one of his intended paramours even shared a screenshot of his supposed dating profile. And not too long after that scandal broke, Ryan's ex, Shelby Woods, insinuated he was trying to get back with her. "Still texting, calling, and FaceTiming me," Shelby tweeted, according to In Touch Weekly. "Better get your man, girlfriend!" The worst part about all of this? Mackenzie was pregnant at the time of Shelby's accusations. Ryan Edwards has a very long rap sheet, starting with his first arrest in March 2017 for possession of heroin and paraphernalia. It all went down after Edwards was pulled over in Tennessee for driving a car with expired tags, a mistake that cost him dearly. While the responding officer questioned Edwards, another officer on the scene spotted "a hypodermic needle in an open backpack," according to his arrest report. And upon further inspection, officers located "approximately fourteen hypodermic needles," "a small plastic baggy of a dark substance," and other assorted paraphernalia in the car. When the officer questioned Edwards about the disturbing scene, he replied: "It's heroin and I have a problem." Woah. Edwards was put on probation for the charge, which he allegedly violated in March 2018. As a result of the violation (it's not clear exactly what he did wrong), Edwards was arrested and later released on bail. The worst part? The arrest came one day after he and Mackenzie announced their first pregnancy. Talk about terrible timing. When Maci Bookout first met her husband Taylor McKinney everything was hunky dory with Ryan Edwards. In fact, Edwards once enjoyed a family dinner with the happy couple and his future wife during Season 6 of Teen Mom OG. But for whatever reason, the goodwill fell apart in March 2018 when Edwards allegedly threatened to "put a bullet" in McKinney's head. So scary. "He called me on Tuesday, March 20th, 2018 and threatened to show up at my house and put a bullet in my head," McKinney, wrote in the court documents obtained by Radar Online. "The police were called and they suggested to seek an order of protection." McKinney continued, "He has a history of drug abuse. He has also said he would show up at our son's baseball game and confront us (my wife and I)." As for Bookout? She painted an equally frightening picture. "He has left voicemail messages threatening to show up at my house and take my son," she explained in court docs. "He has made threats to show up and hurt me if I don't answer my phone … [He] showed up under the influence of heroin and got in my face, yelling and threatening to hurt me." According to People, a judge granted Bookout "a two-year order of protection" against Edwards, which prevented him from being within 100 feet of his ex, McKinney, and their two children: Jayde and Maverick. 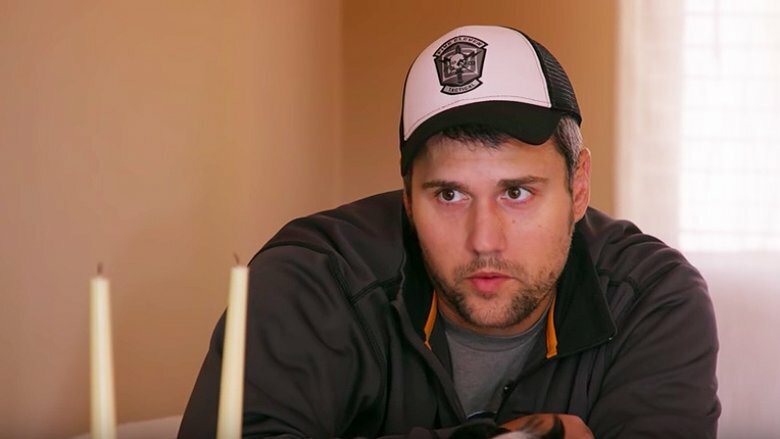 Ryan Edwards has struggled to maintain a consistent relationship with his son Bentley throughout the years, especially during his battle with drugs. The good news? The father and son have finally reached a "healthy" point in their relationship. "Bentley has gotten older and is kind of understanding a little bit more about what's going on. I don't want to say they've gotten closer, but I think that it's gotten healthier only because I think it relieves some of the pressure from each of them," Maci Bookout shared with Us Weekly. "Bentley was a child, like, wondering what's really going on. I think if the right steps are taken from here, then it will end up good." How wonderful. Thankfully, Bentley also maintains a close bond with his grandparents, Jennifer and Larry Edwards. Jennifer often shares photos of Bentley to her Instagram account, and they often enjoy fun outings together. In a shocking twist, Ryan and Mackenzie Edwards announced their departures from Teen Mom OG just months before the Season 7 premiere on Nov. 1, 2018. As for why the controversial couple bailed? Mackenzie told E! News it was because the network supposedly didn't want to show Ryan in recovery. "We're not returning to Teen Mom this season. The network told us they don't want to show Ryan as a recovering addict," Mackenzie stated. "But they did want to enter a contract with our unborn baby and have the baby film with Ryan's parents so it would look like someone else is raising it." Um, say what? Although MTV didn't comment on Mackenzie's claims, "a crew source" told The Ashley's Reality Roundup that the pair was booted due to sobriety concerns. "Maci — and a lot of other people around Ryan — do not believe that Ryan is sober. Maci told the producers that she did not want Bentley to be able to watch his father kill himself with drugs, so if Ryan was allowed to continued to film, she was done filming," the insider alleged. 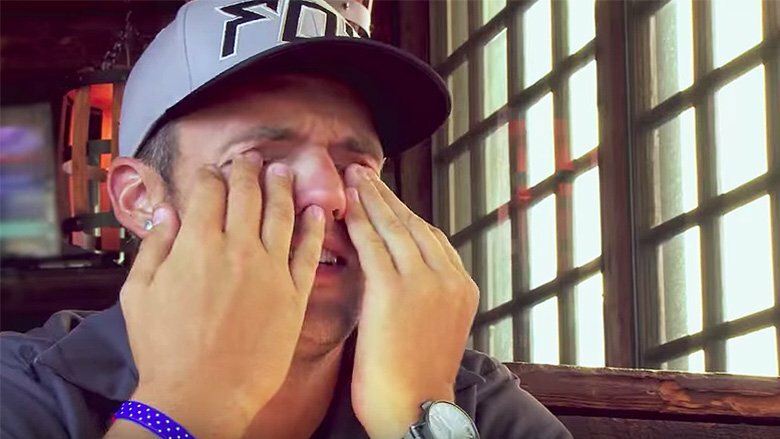 "It was pretty much him or her, and they picked Maci over Ryan." What happened with Edwards' cat killing spree? 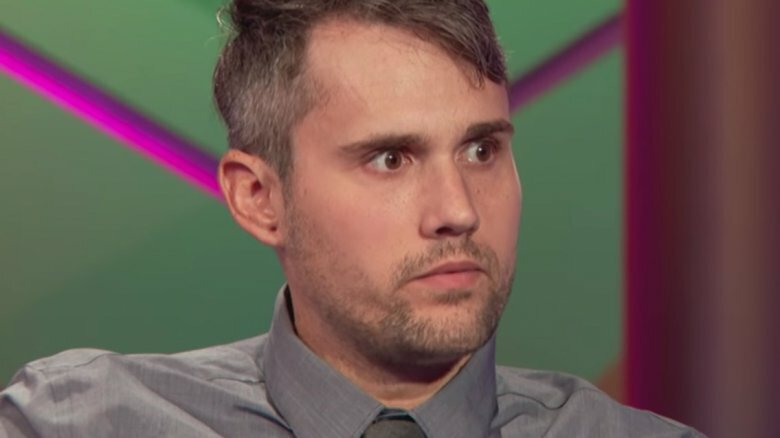 One of the more disturbing details about Ryan Edwards' life is his alleged cat-killing spree in August 2016. Although it's difficult for us to believe, the controversy started when Edwards took to Instagram to joke about shooting felines dead with an air rifle. "Use to be the cat hangout but I been putting them down with the ol' air rifle #deadcats," Edwards captioned a photo of his house, according to Radar Online. Edwards then shared a photo of an unidentified girl holding a dead cat, sarcastically writing: "Omg y'all look at this MAKES ME SOOO MAD!!!" Ugh. Despite the backlash from fans, Edwards defended his decision. "When they start living under you house and having 100 babies that scratch your car and boat and piss on everything and get into your garbage let me know," he supposedly told fans. "Lol and you can go to jail for vandalizing people's property and trespassing so I guess I'll call the cops next time lol. Like you ppl are stupid." Of course, Edwards could just be trolling, but even if he is, color us horrified.